The Ebricks.com Stained Glass Doors guide offers information about companies such as The Looking Glass, Inc. and Vermont Salvage. This leaded glass studio specializes in custom design and fabrication of stained glass windows, doors, skylights, fireplace surrounds, lamps and more. 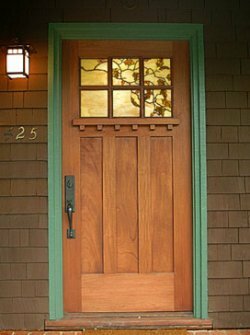 Specializing in custom doors and windows, this company offers an extensive line of wood, iron and fiberglass doors. Other services include in-house ornamental iron work such as driveway gates, hand rails and iron sculptures; plus a full service stained glass studio, offering restoration and appraisal services. Makers and sellers of stained and leaded glass panels for cabinet doors. Also: etched glass and art glass for doors. Maker and direct-seller of leaded and beveled glass inserts, carved and etched glass inserts as well as many unique art glass inserts.